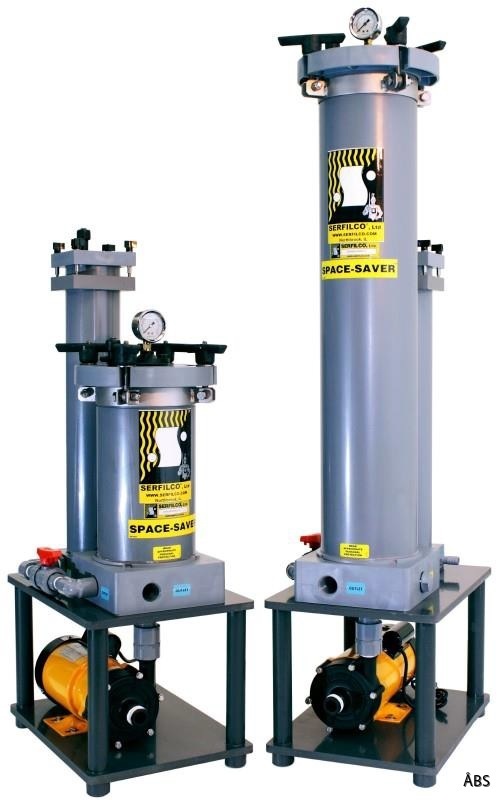 ÅBS sells SERFILCO filtration systems. The systems are compact, corrosion-resistant and extremely easy to use. A choice of building materials makes it possible to use them with most liquids, including strong chemicals at elevated temperatures. SERFILCO products have received global approval for recirculation treatment of most electroplating and chemical process solutions. They have proven to be a reliable workhorse for over half a century. With many systems running around the world, you can be sure that a SERFILCO filtration system will improve the clarity of your process solutions, increase production quality and reduce process costs. 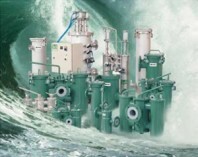 SERFILCO filtering systems are available in different variants. 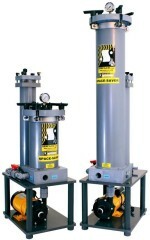 Automatic filter, Filter container, Filter press, Filter cartridges, Filter bags. That was all, back to the top!